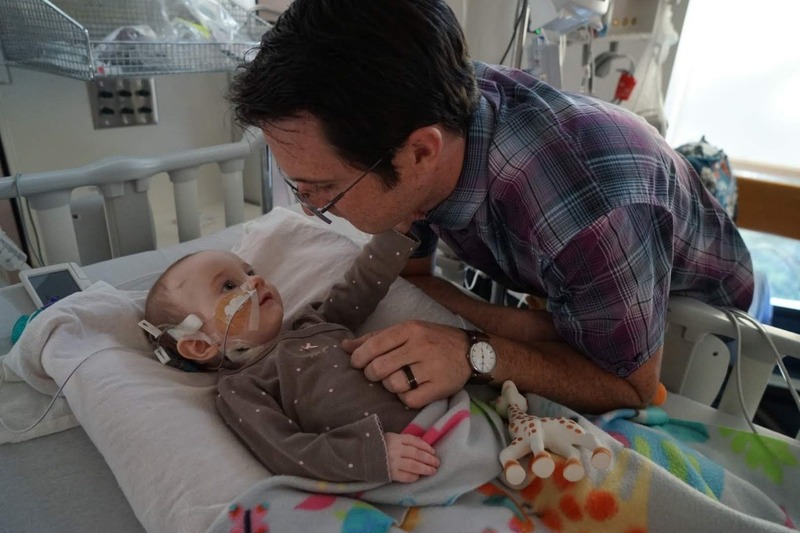 Olivia has a progressive, palliative genetic/biochemical disorder (tango2 gene deletion). 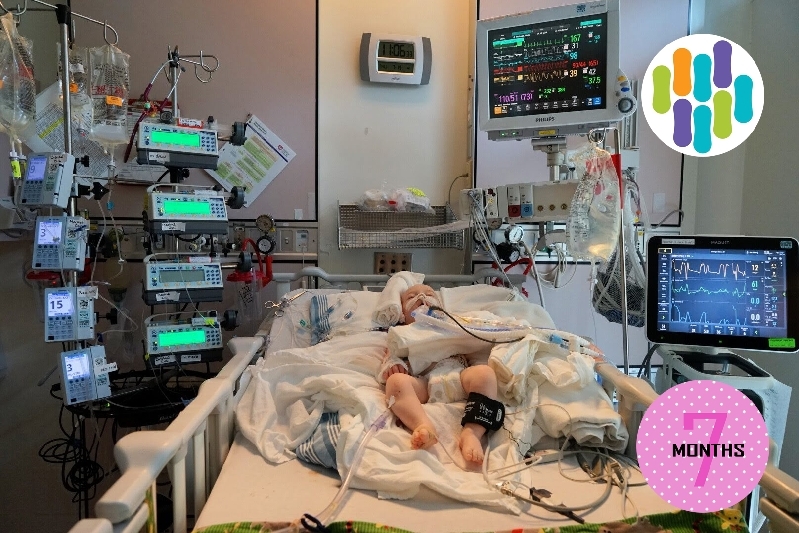 She has failure to thrive requiring enteral tube feeding, epilepsy, and repeated episodes of metabolic crisis. She has been admitted to hospital for the past month. 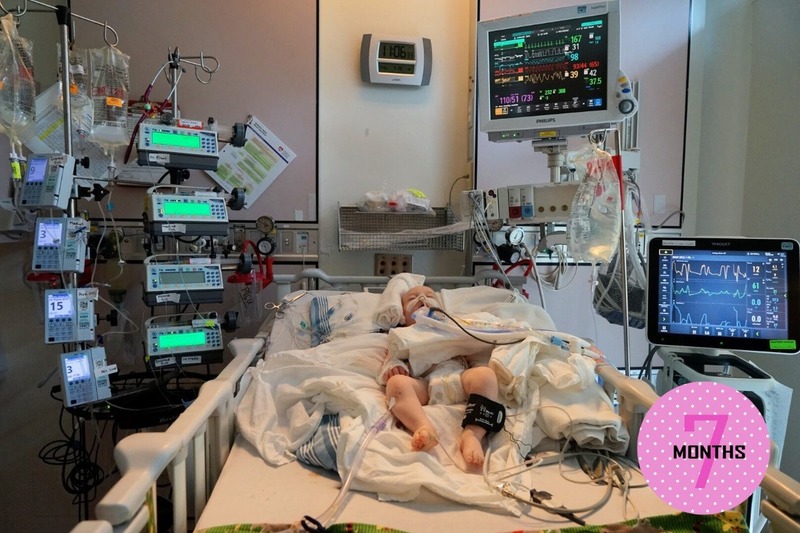 The expectation with this condition is that Olivia will experience progressive neurologic + physical deterioration and will need increasing levels of support (cardio/respiratory). We met back in 2006 and knew almost immediately that we wanted to get married and start a family. 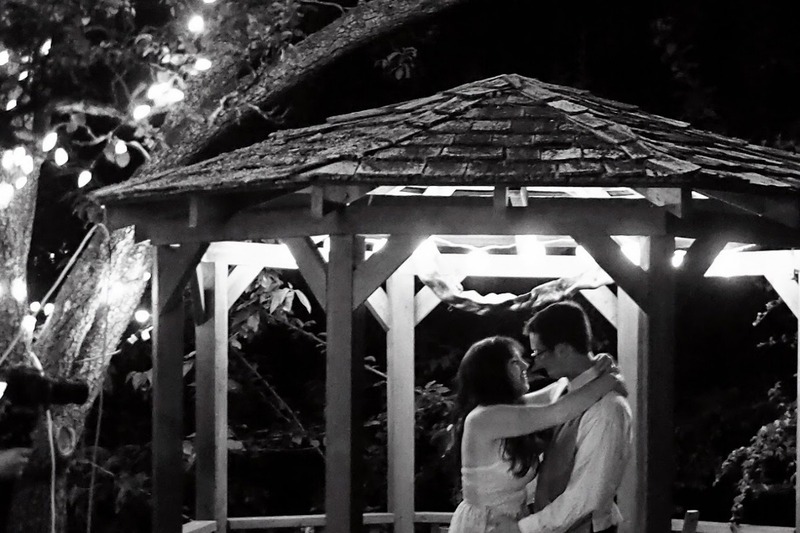 We married in the summer of 2013, and a couple years later we were ready to start trying to expand our family. As the months passed she surpassed her physical and psychological milestones, but her body wasn't keeping up. She continued to grow tall but wasn't gaining weight. We had constant visits with the public health nurses and doctors to monitor her weight gain. She maintained a positive attitude and was always super energetic. Everyone assumed she just had a high metabolism because physically it appeared nothing was wrong. They kept her sedated for a couple days and she ended up on a respirator. 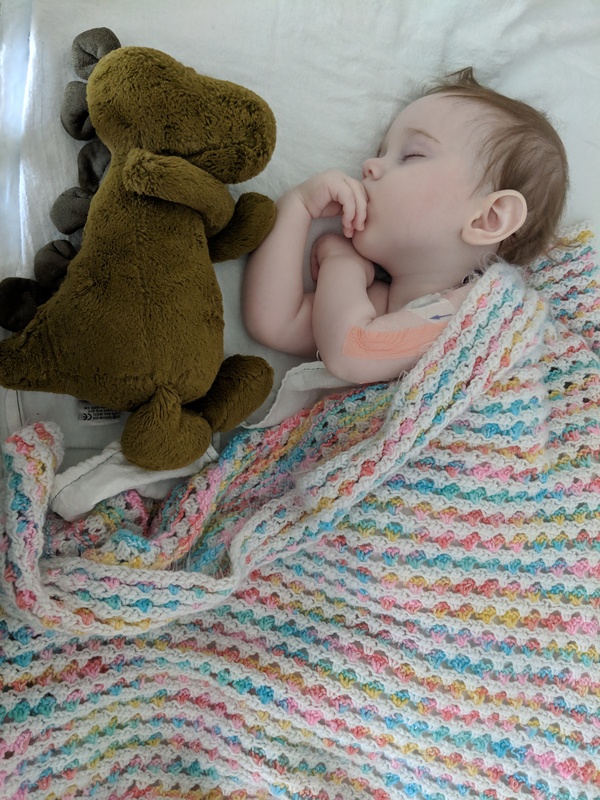 After spending a week in the PICU at Vic general the doctors had an assumption as to what it was but we're waiting on genetic testing to come back. 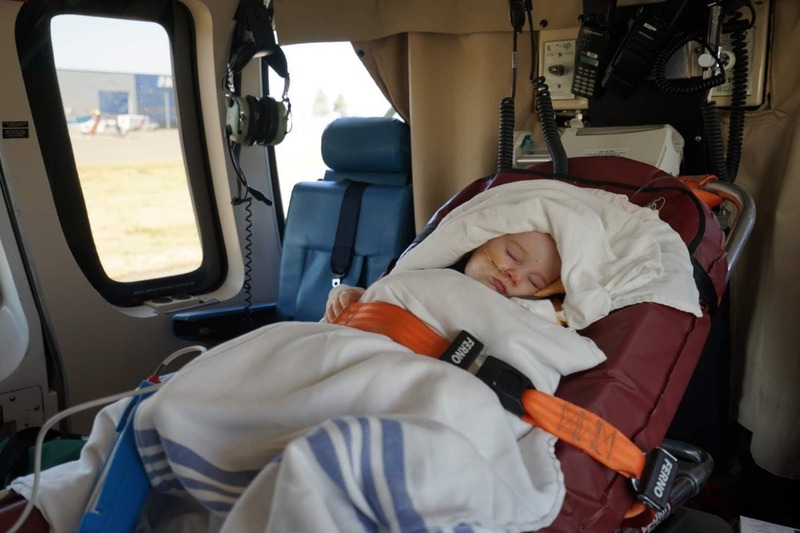 She was making a great recovery and it was looking like we were out of the woods then on July 24th we found out her CK climbed much higher then it had been before, so we were informed that we would be sent to BC children's hospital the following morning on the first helicopter out. Our visit to BCCH was full of ups and downs, many tests and appointments, and lots of specialists working to help her. 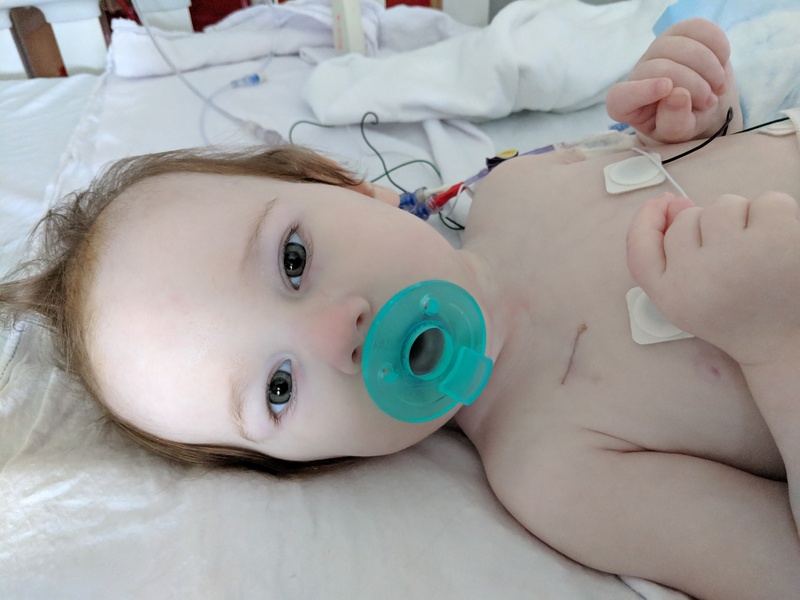 She became stable and made lots of improvements and we were within days of coming home when we found out that she has a rare genetic disease called Tango2 (Tango2 related metabolic encephalopathy and arrhythmia). Olivia was recovering well and stable so they sent us home August 3rd, and in less than 24hrs she began to have another metabolic episode. She was hyperventilating, vomiting and was not very responsive. So again we find ourselves at Vic General, where we wait with her as she makes her recovery. If you would like to know more about the disease I have shared some links below. 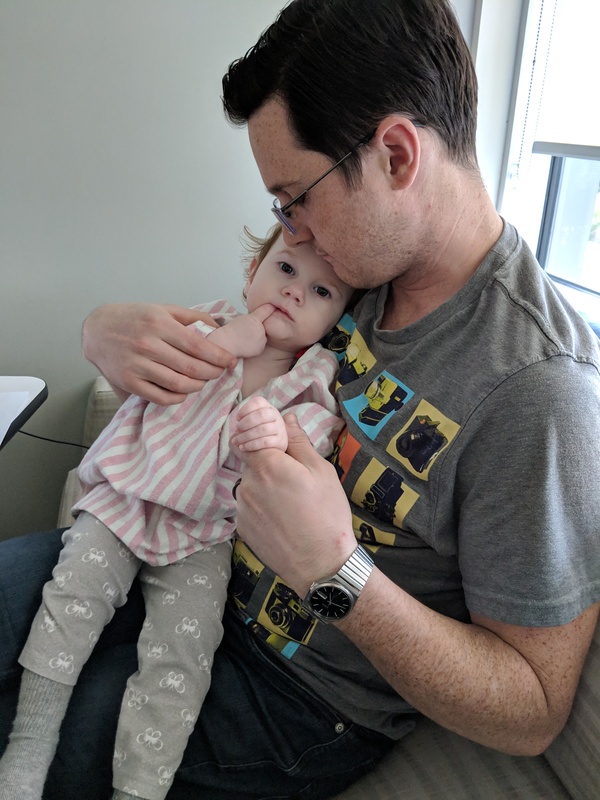 Today Olivia has been in the hospital for 9 months. Olivia was slightly better on the 16th then she was on the 15th. She was spending more time awake and playing, however she was throwing up a bit. After less then 24hrs her blood had mostly normalized, however on the 17th her lactic acid began to climb again. Now we're waiting to see what her CK will do so we can help her flush that out too. During this crisis we decided to increase her IV fluids while continuing to give her the same amount of food at a slightly slower rate. It seemed to be working for a while, until yesterday when her blood sugar dropped and stayed low all day. They made several attempts to get it stabilized, but eventually they decided to cut her feeds in half and increase the IV fluids. As the day progressed she also started to have diarrhea, so last night they decided to cut her feeds down to almost nothing and increase the IV fluids more.They feel her gut is having a hard time absorbing the sugar in her food while she's sick. She spent most of yesterday sleeping and throwing up, however she did have a few good moments earlier in the day. For those brief moments it was almost as if she wasn't sick at all. She was chatty, playful and dancing on the spot. On top of her being sick she just pushed out two more teeth a couple days ago. Now she has 10 teeth in total. So far Olivia is having a good morning. She has more energy, she's happy and playing lots, and has not thrown up yet. We have gotten confirmation on what they believe the cause of her crisis is. She has C.Diff.... again. After her last C.Diff infection her body had become colonized with the bug, however it was inactive so it wasn't a threat to her. 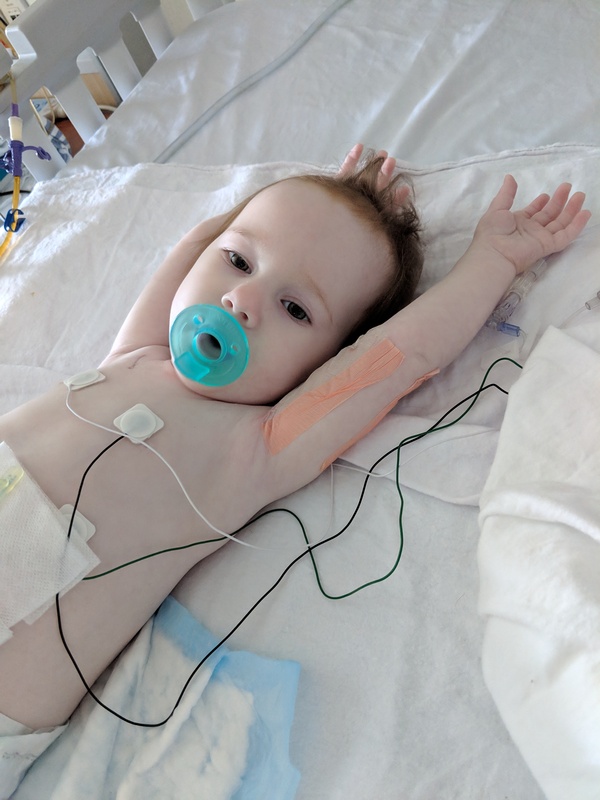 They believe that after her multiple uses of antibiotics over the last couple months the C.Diff bug was given an opportunity to become more active and make her sick again. 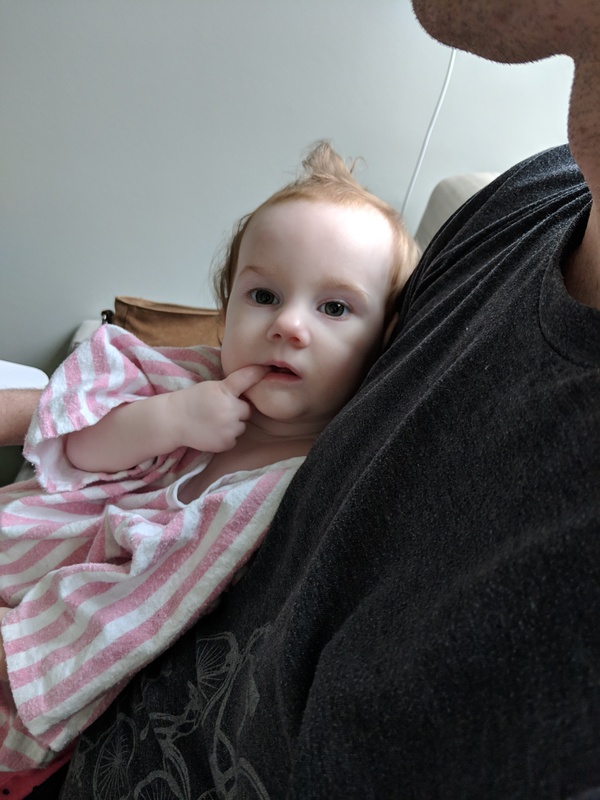 She is on a 10 day course of antibiotics, and so far the bug seems to be affecting her differently compared to the last time she had it. Hopefully her road to recovery won't be as long this time around. 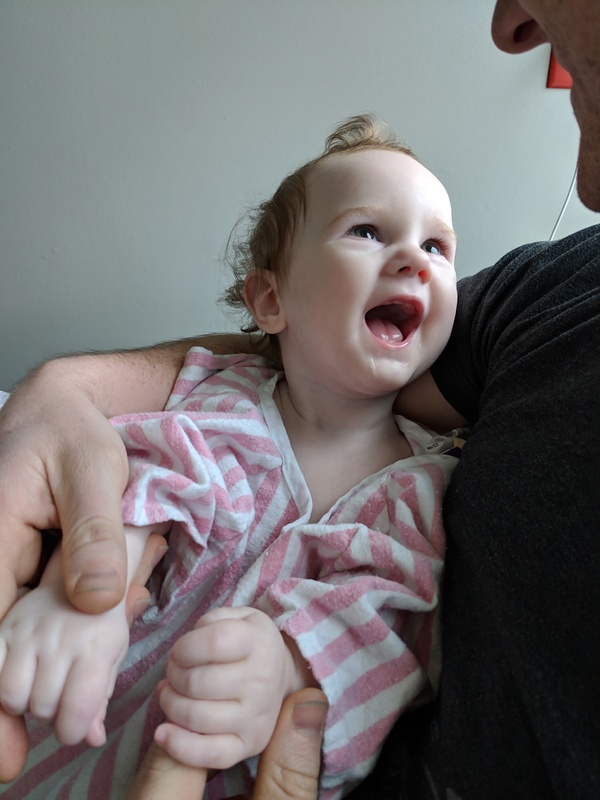 Today Olivia turns 16 months old, and as of yesterday we have been at BCCH for one month. The weekend went well and Olivia tolerated her IV being reduced to the minimum flow rate. Every thing seemed to be going great until this morning when she started feeling more tired and irritable then usual. As the morning went on she didn't seem herself. She was more lethargic and began vomiting. We checked her blood sugar and it was the lowest we have ever seen it. We treated her with a glucose gel and it went lower. They increased her IV fluid rate and that has helped to stabilize her a bit better, however now her sugars are resting on the high side. 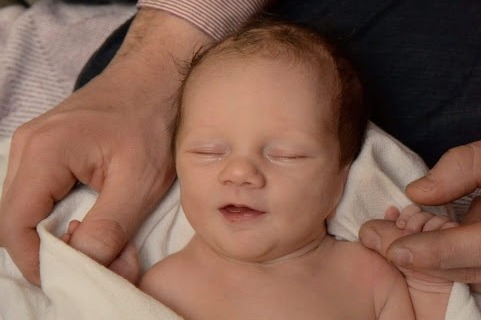 Throughout the day she had occasionally vomited and she mostly slept until 4pm. Just after 4pm she got a great burst of energy. She was happy and playing, but then tired out by 5pm and settled into a nap. They ran a bunch of blood work while her sugars were critically low. So far they have determined that her blood had become acidic and her lactic acid was very high. She has begun to have another crisis. They ran more tests as the day went on, and this evening they will be running more tests. Hopefully they will have some answers as to what caused this crisis. We were actually scheduled to have a meeting today about planning for discharge in the near future... But it looks like that has been temporarily put on hold. We will keep you updated as we learn more about what is going on. Over the last week Olivia has been fighting off a minor sinus cold. She is mostly recovered, but still has a little bit of congestion and an occasional cough left over. Thankfully she fought off this bug without needing help to do so, however she did have a couple of sleepless nights because of her extra mucus production. She started eating tastes of food again, and her new favorite thing is yogurt. Her neck strength is getting better, and she is now able to stand for brief periods. Next week we will be helping her try tummy time. 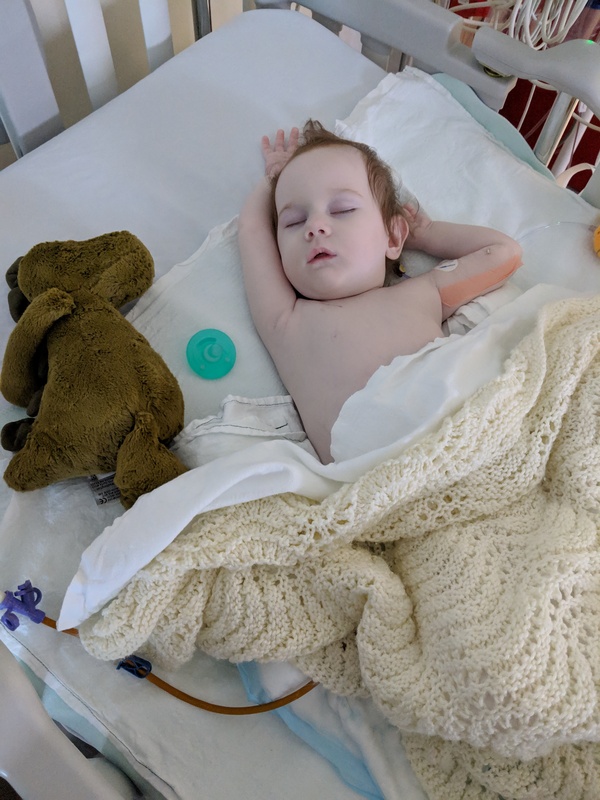 Wednesday night they made the decision to turn off her TPN and start running a dextrose IV fluid (which has the same sugar content as the TPN). Since Wednesday night they have been decreasing the amount of dextrose she is getting and so far it is going well. If the weekend goes well then maybe by early next week she will be off of all IV fluids. Olivia is continuing to make slow progress. She is starting to get back on a more normal feeding schedule and is tolerating her increasing rate of food. They have also been slowly decreasing the amount of sugar in her TPN and her sugars are continuing to stay stable. If things continue as they are we might be able to get her off of TPN by Friday. She has also been gaining a little weight since we arrived, and is now over 18lbs. Because she is no longer on a continuous feed she has a little more freedom to move around out side of her crib. She is getting stronger and is spending more time sitting up. She is also able to hold her head up for longer periods. She is now only being monitored when she sleeps or when we leave the room, and her blood work has been reduced to once a week. This week we will be starting to help her regain the skills necessary to eat food orally again. Hopefully this week goes well so we can continue to move forward.